Delete apps from your Apple iPhone 8 or X if you have apps that you no longer wish to use. You can do so by simply following these steps. There are two different ways you can delete apps from the iPhone 8 and X using the iOS operating system. Navigate to the Home screen that contains the icon for the application you wish to remove. Gently tap and hold any icon for about 2 seconds until the icons wiggle. Don’t press too hard, otherwise a menu will be displayed. An X should appear next to some of the apps. Tap the X on the app you wish to uninstall. If the X doesn’t appear, have a look at this post. 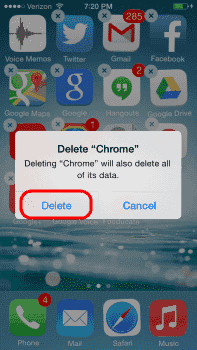 A dialog appears confirming you wish to delete the app and all of its data. Select “Delete” or “Remove” to proceed. Perform steps 2 and 3 for any other apps you wish to delete, or simply press the Home button to save your changes. From the Home screen, select “Settings“. Tap “Storage & iCloud Usage” or “Usage“. Under the “Storage” section, select “Manage Storage“. The list of apps installed on your iPhone appears. Select the one you wish to remove. That’s all it takes to delete the app! The data and the program is completely removed from the iPhone 8 or X as soon as you remove the icon using one of these methods. The app icons wiggle, but there is no “X” when I press and hold an icon. Why? 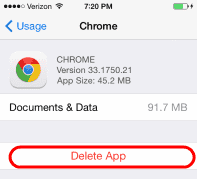 Have a look at our post about a problem where you can’t delete apps. Why doesn’t the X show on some of the apps? Some apps like Notes, Calendar, and Contacts are part of the Apple iOS and cannot be removed. 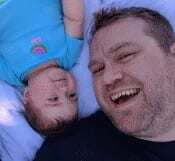 If you have an app that should be removable, have a look at this post. Will I be able to reinstall apps that I paid for after I uninstall them? Yes. The apps you purchased will always be available to download from your account without additional charges. How about removing apps from iCloud? View our post about removing apps from iCloud.